In this video, I show you how to shallow the golf club during the downswing using your left arm (as a right-handed golfer) for more power and consistency. 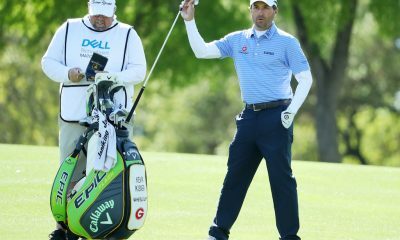 Williams: Want to hit straight golf shots? Try learning to shoot straight! Find him on YouTube at: https://www.youtube.com/user/adaviesgolf Advanced Fellow of the PGA Head Golf Professional The Marriott Forest of Arden The Golfing Machine Authorised Instructor TPI Certified Fitness Golf Instructor PGA Swing Lecturer PGA Swing Examiner PGA Qualified in 1999, Achieving 3rd position Trainee of the Year Roles Former Academy Coach Wales South West Squad Performance Director Midland Performance Golf Academy Coach to GB & I Squad Member Head Coach to Birmingham University Teams Coach to Solihull College AASE England programme Coached Numerous County Squads including Staffordshire, Warwickshire and Derby. Philosophy I am a highly self-motivated full time coach committed to improve players of all standards. Through continually developing my skills and knowledge I am considered one of the leading coaches and have been recently voted in Golf Worlds top 100 coaches. Having excellent communication skills enables me to be able to deliver first class tuition to all levels of golfers and this is reflected in my achievements from my players and personal accolades. Shank city. You need to hit the ball low and to the right to hit the ball correctly. 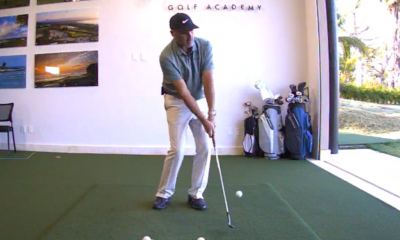 This move creates a laid off club face that needs hands to catch up or you’re stuck. 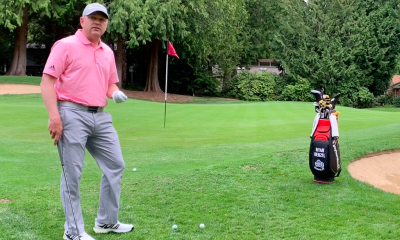 Check out what Bobby Greenwood teaches about hitting the golf ball. He has the swing and the record to prove it. Bobby Greenwood. Retired PGA tour pro and All American from North Texas State. 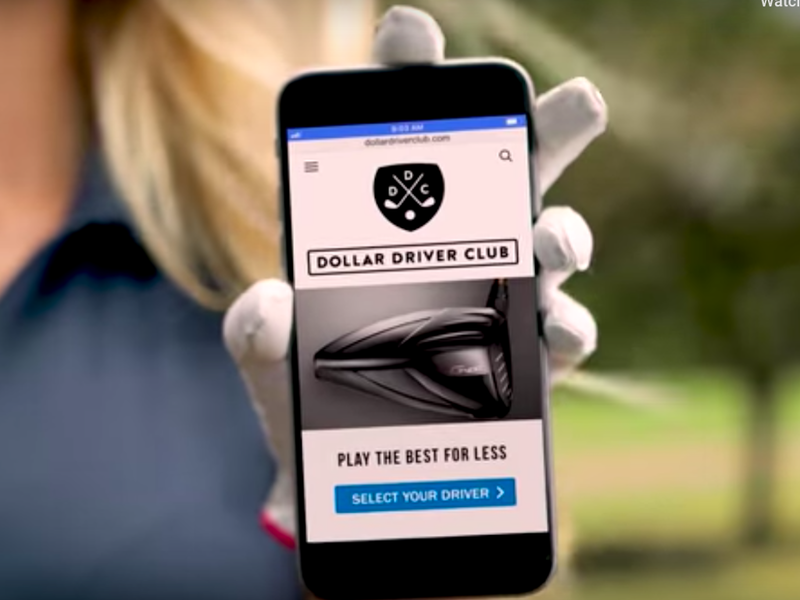 Could Dollar Driver Club change the way we think about owning equipment? There’s something about golfers that draws the attention of, for lack of a better word, snake-oil salesmen. 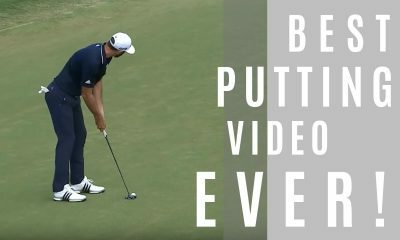 Whether it’s an as-seen-on-TV ad for a driver that promises pure distance and also fixes your power slice, or the subscription boxes that supposedly send hundreds of dollars worth of apparel for a fraction of the price, there always seems to be something out there that looks too good to be true. Discerning golfers, who I would argue are more cynical than anything, understand that you get what you pay for. To get the newest driver that also works for your game, it may take a $150 club fitting, then a $400 head, and a shaft that can run anywhere from $100 up to $300-$400. 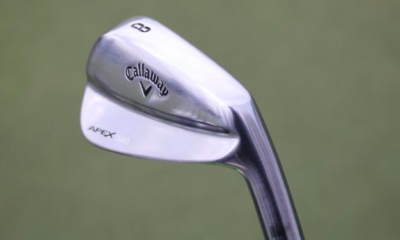 After the fitting and buying process, you’ve made close to a thousand dollar investment in one golf club, and unless you’re playing money games with friends who have some deep pockets, it’s tough to say what the return on that investment actually is. When it’s all said and done, you have less than a year before that driver is considered old news by the standard of most manufacturers’ release schedules. What makes a driver ‘good’ to most amateur golfers who take their game seriously is a cross section of performance, price, and hubris. As for that last metric, I think most people would be lying if they say it doesn’t feel good having the latest and greatest club in the bag. Being the envy of your group is fun, even if it only lasts until you snap hook your first drive out of bounds. 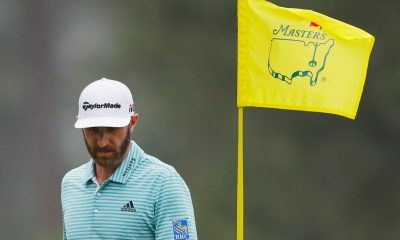 As prices of general release equipment have increased to nearly double what it was retailing at only 10 years ago, the ability to play the newest equipment is starting to become out of the question for many amateur golfers. Enter Tyler Mycoskie, an avid, single digit handicap golfer (and the brother of Tom’s shoes founder, Blake Mycoskie). 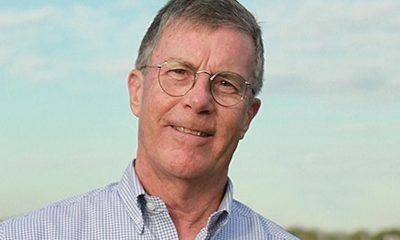 Tyler’s experience with purchasing golf equipment and his understanding of uniquely successful business models collided, which led him to start the Dollar Driver Club. With a name and logo that is a tongue in cheek allusion to the company that has shaken up the men’s skincare industry, the company seeks to offer a new way of thinking about purchasing golf equipment without completely reinventing the wheel of the model that has seen success in industries such as car leasing and purchasing razors. The company does exactly what its name says. 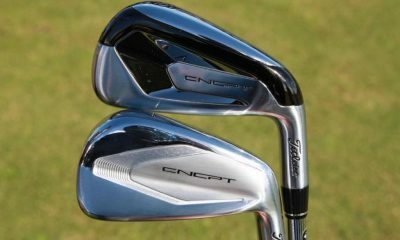 They offer the newest, top of the line driver and shaft combinations for lease at a cost of about a dollar per day. The economics of the model seem too good to be true. When you purchase a driver, you are charged $30 plus $11 for shipping and it’s $30 per month from then on. You can upgrade your driver at no extra cost each year and your driver is eligible for upgrade or swap after 90 days of being a member. 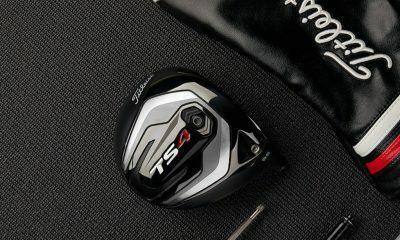 After a year, the total cost comes to $371 with shipping, which sounds a lot nicer than the $500 that it would cost to purchase, as an example, a Titleist TS3 with a Project X Evenflow T1100 today. The major complaint most people would have is that you still don’t own the driver after that year, but as someone with a closet full of old golf clubs that diminish in value every day, which I have no realistic plans to sell, that doesn’t sound like a problem to me or my wife, who asks me almost weekly when I plan on thinning out my collection. The model sounds like an obvious win for customers to me, and quite frankly, if you’re skeptical, then it’s probably just simply not for you. I contacted the team at the Dollar Driver Club to get some questions answered. Primarily, I want to know, what’s the catch? I spoke with a Kevin Kirakossian, a Division I golfer who graduated from the University of Texas-Pan American in 2013 and has spent virtually his entire young career working on the business side of golf, most recently with Nike Golf’s marketing team prior to joining Tyler at Dollar Driver Club. Here’s what he had to say about his company. At risk to the detriment of our conversation, I have to find out first and foremost, what’s the catch? K: There’s no catch. We’re all golfers and we want to offer a service that benefits all of our members. We got tired of the upfront cost of drivers. We’re trying to grow the game. Prior to us, there was no way to buy new golf clubs without paying full price. We take a lot of pride that players of all skill level, not just tour pros or people with the extra budget to drop that kind of money every year, can have access to the latest equipment. With that question out of the way, I delved into the specifics of the brand and model, but I maintained a skeptical edge, keeping an ear out for anything that I could find that would seem too good to be true. How closely do you keep an eye on manufacturers and their pricing? It would seem that your service is more enticing as prices increase in equipment. K: The manufacturers are free to create their own pricing. We work closely with manufacturers and have a great relationship with them. As prices increase, it helps us, even if they decrease, I still think it’s a no-brainer to use our service, purely for the fact that new equipment comes out every year. You don’t have a high upfront cost. You’re not stuck with the same driver for a year. It gives you flexibility and freedom to play the newest driver. If a manufacturer wants to get into the same business, we have the advantage of offering all brands. We’re a premium subscription brand, so we’re willing to offer services that other retailers aren’t. We’ll do shaft swaps, we’ll send heads only, we have fast shipping and delivery times. We’re really a one-stop shop for all brands. What measures do you take to offer the most up to date equipment? K: We will always have the newest products on the actual launch date. We take pride in offering the equipment right away. A lot of times, our members will receive their clubs on release day. We order direct from the manufacturers and keep inventory. There’s no drop shipping. We prefer shipping ourselves and being able to add a personal package. The service is uniquely personal. Their drivers come with a ball marker stamped with your initials as well as a stylish valuables pouch. They also provide a hand signed welcome letter and some stickers. Who makes up the team at Dollar Driver Club? K: We’re a small team. We started accepting members to our service in 2018 and it has grown exponentially. We have four or five guys here and it’s all hands on deck. We handle customer inquiries and sending drivers out. It’s a small business nature that we want to grow a lot bigger. When discussing the company, you have to concede that the model doesn’t appeal to everyone, especially traditionalists. There are golfers who have absolutely no problem spending whatever retailers are charging for their newest wares. There are also golfers who have no problem playing equipment with grips that haven’t been changed in years, much less worrying about buying new equipment. I wanted to know exactly who they’re targeting. Who is your target demographic? K: We want all golfers. We want any golfer with any income, any skill level, to be able to play the newest equipment. We want to reshape the way people think about obtaining golf equipment. We’re starting with drivers, but we’re looking into expanding into putters, wedges, and other woods. We’ve heard manufacturers keep an eye on us. There are going to be people who just want to pay that upfront cost so they can own it, but those people may be looking at it on the surface and they don’t see the other benefits. We’re also a service that offers shaft swaps and easily send in your driver after 3 months if you don’t like it. At this point, it didn’t seem like my quest to find any drawbacks to the service was going well. However, any good business identifies threats to their model and I was really only able to think of one. They do require a photo ID to start your account, but there’s no credit check required like you may see from other ‘buy now, pay later’ programs. That sounds ripe for schemers that we see all the time on websites like eBay and Craigslist. When you’re sending out a $500 piece of equipment and only taking $41 up front, you’re assuming some risk. How much do you rely on the integrity of golfers who use your service to keep everything running smoothly? K: We do rely on the integrity of the golf community. When we send out a driver, we believe it’s going into the hands of a golfer. By collecting the ID, we have measures on our end that we can use in the event that the driver goes missing or an account goes delinquent, but we’re always going to side with our members. The conversation I had with Kevin really opened my eyes to the fact that Dollar Driver Club is exactly what the company says it is. They want to grow and become a staple means of obtaining golf equipment in the current and future market. Kevin was very transparent that the idea is simple, they’re just the ones actually executing it. He acknowledged the importance of social media and how they will harness the power of applications like Instagram to reach new audiences. Kevin was also adamant that even if you prefer owning your own driver and don’t mind the upfront cost, the flexibility to customize your driver cheaply with a plethora of high-quality shafts is what really makes it worth trying out their service. If for whatever reason, you don’t like their service, you can cancel the subscription and return the driver after 90 days, which means that you can play the newest driver for three months at a cost of $90. In my personal opinion, I think there’s a huge growth opportunity for a service like this. The idea of playing the newest equipment and being able to tinker with it pretty much at-will really speaks to me. 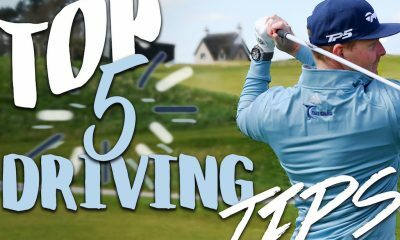 If you’re willing to spend $15 a month on Netflix to re-watch The Office for the 12th time in a row or $35 a month for a Barkbox subscription for your dog, it may be worth doing something nice for your golf bag. 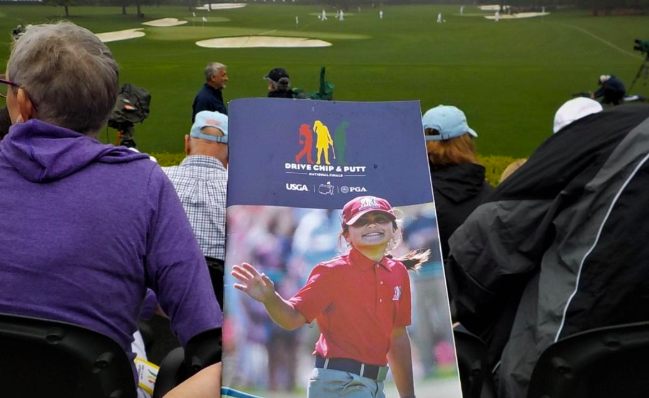 I’ve been very fortunate to have had the opportunity to attend all of the Drive, Chip and Putt National Finals at Augusta National since the inception of this amazing initiative. 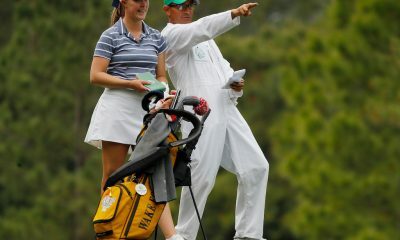 I’ve also been extremely lucky to have attended the Masters each of the past 10 years that I have been a PGA member. Each year, I’m still like a kid on Christmas morning when I walk through the gates at Augusta National, but nothing compares to my first trip in 2010. I was in absolute awe. For anyone that’s been, you can surely agree that Augusta National and the Masters Tournament is pure perfection. So how cool was it driving Down Magnolia Lane? 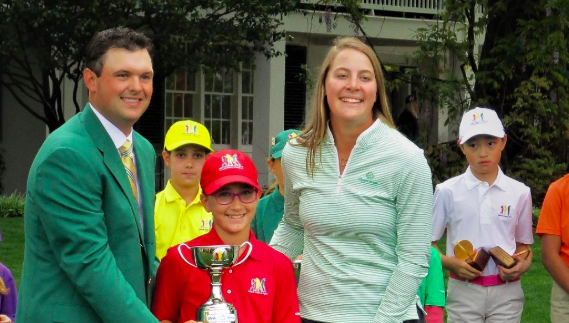 What was the coolest part of your time at Drive, Chip and Putt at Augusta National? How did you prepare for the finals? What tour pros did you get to meet and talk to? How fast were those greens? I also wanted to ask Briel’s parents a few questions in order to get a better idea from the standpoint of the mom and dad, on what an increasable experience this must have been. So how cool was it driving up Magnolia Lane for you guys? 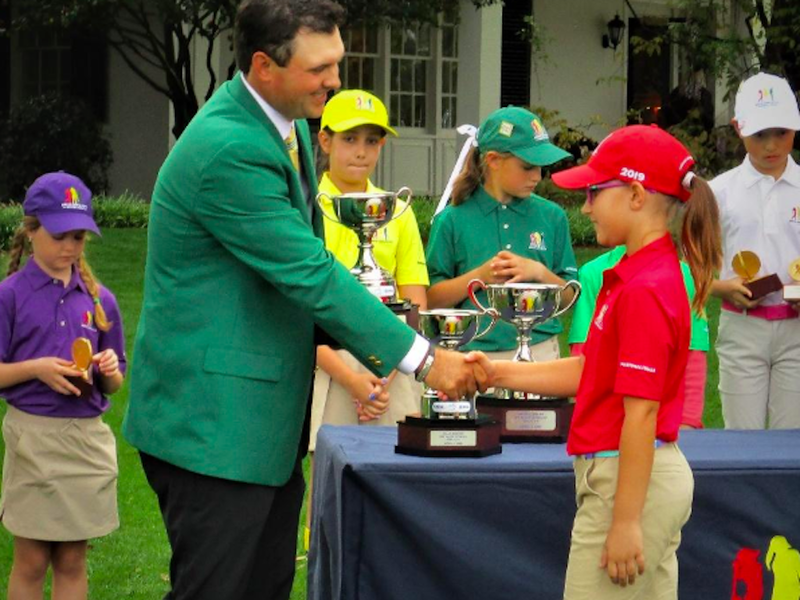 What was the coolest part during your time at Drive, Chip and Putt and Augusta National? How impactful do you feel this initiative is to golf in general? It goes without saying that you were incredibly proud of your daughter but what may have surprised you most on how she handled this awesome experience? 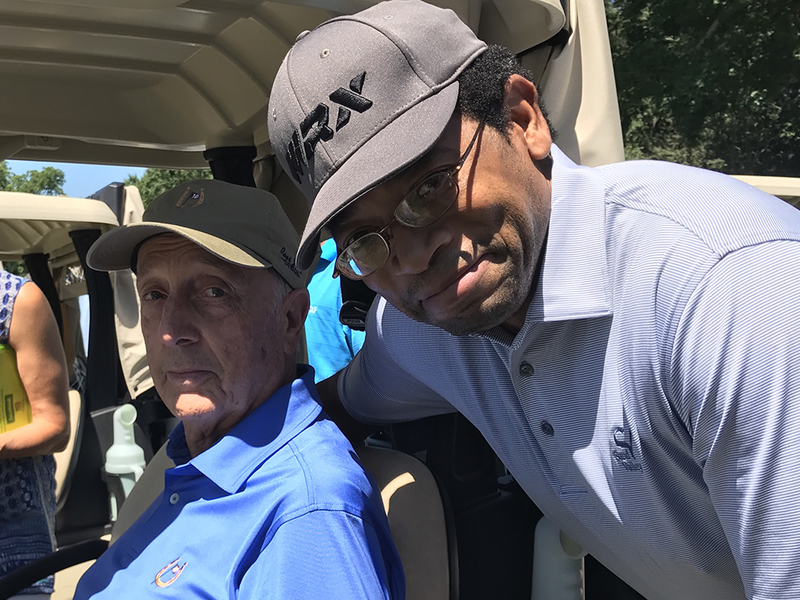 The 19th Hole (Ep 76): Rees Jones on how Tiger won at Augusta and will win at Bethpage! 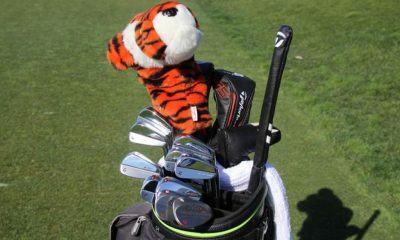 The Open Doctor Rees Jones talks with host Michael Williams about the key holes that shaped Tiger’s win in Augusta and his chances for victory at Bethpage Black in the PGA Championship. Also features John Farrell of Sea Pines Resort (host of this week’s RBC Heritage Classic) and Ed Brown of Clear Sports. Check out the full podcast on SoundCloud below, or click here to listen on iTunes or here to listen on Spotify.